CHATTANOOGA, TN. — NASCAR legend, Dale Earnhardt Jr., will be the featured speaker on May 29 at this year’s Times Free Press Best of Preps banquet located at the Chattanooga Convention Center. Earnhardt is scheduled to deliver his keynote speech at the 6:30 p.m. dinner. Tickets are on sale for $50 through their website with tables of eight available for $400. The deadline to buy tickets for the event is May 26. 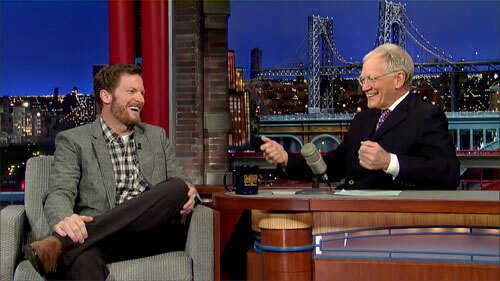 Photo shows Dale Earnhardt Jr. speaking with David Letterman in Feb 2014 on his Daytona 500 Victory. Dale Earnhardt, Jr. is an American stock car race car driver and team owner, who currently drives the No. 88 Chevrolet SS in the NASCAR Sprint Cup Series for Hendrick Motorsports. If your company is interested in finding out appearance fees and availability for a NASCAR legends like Dale Earnhardt Jr. for a speaking engagement or personal appearance, contact Dale Earnhardt Jr.’s booking agent for appearance & speaker fees.